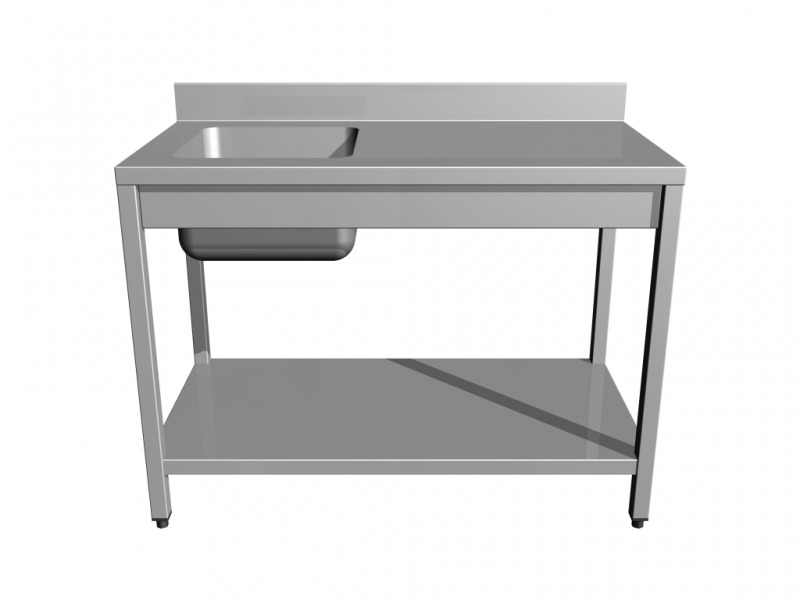 Work tables with sink, with shelf, made in satin-finish AISI304 Scotch Brite stainless steel with sliding doors. Work top of 40 mm height, reinforced with 18 mm thick, waterproof chipboard panel. Reinforced middle shelf.Stainless steel height-adjustable feet.Argon welded construction.